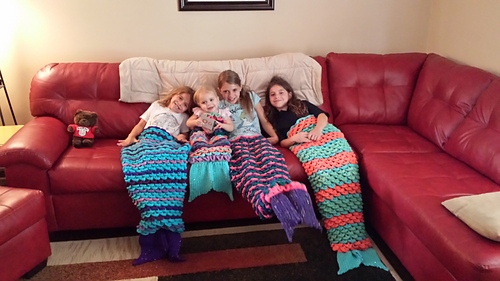 After being commissioned for a set of mermaid tails, and not really caring for any of the ones I saw, I concocted my own version. This is my first written pattern, and I’m currently working on a version 2.0 for sale that will be worked in the round, with a knitted version available also. I tend to make things too big, so the sizes here are rather generous for smaller children. I’m a smaller person, and the Large child size listed fit me fairly well. 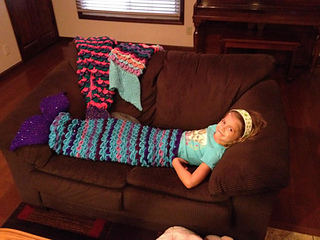 The pattern is open for any kind of worsted weight you can find, and please use your hook to attain gauge. The gauge is loose, otherwise the blankets would be pretty heavy! I hope you enjoy, and please let me know if you have any questions! 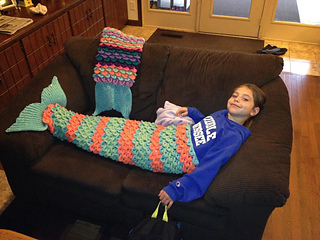 Knitted fins to crocheted fins! 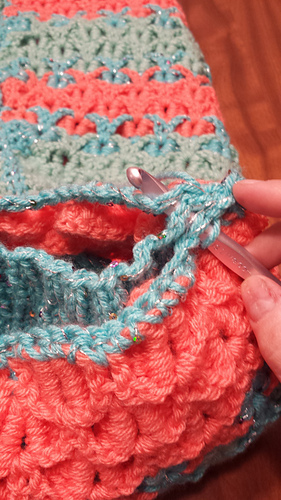 I mixed knit and crochet in the original design, if you don’t know knit, or if you like to just crochet, use the following errata to get a fin that’s all crocheted. You’ll still work the fin in two pieces, but you’ll be starting from the middle of the fin, instead of at the end of it. 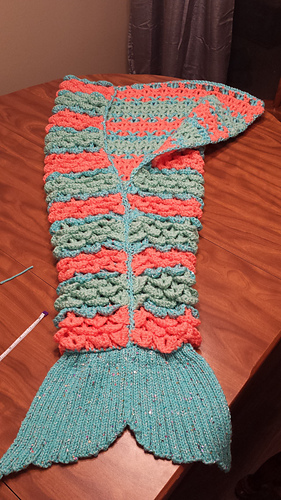 If you start from the middle part of the fin - the short side that will be seamed to the other side, chain however many you would need for about 5” with a size J hook (for me, it’s about 20 sts). You’ll sc through the back loop only the entire fin, this will give it the same ribbed look as in the original pattern. Ch 21, sc down the chain. Row 1: Ch 1, turn, sc through back loop only to last st, 2 sc in last st.
Row 2: Ch 1, turn, sc through back loop only to end of row. Row 3: Ch 1, turn, sc through back loop only to last st, 2 sc in last st.